I’ve never been to the Middle East (it’s still on my travel bucket list), but I do enjoy a lot of the Middle Eastern food that I’ve tried, whether it’s in restaurants or made by friends from that region. 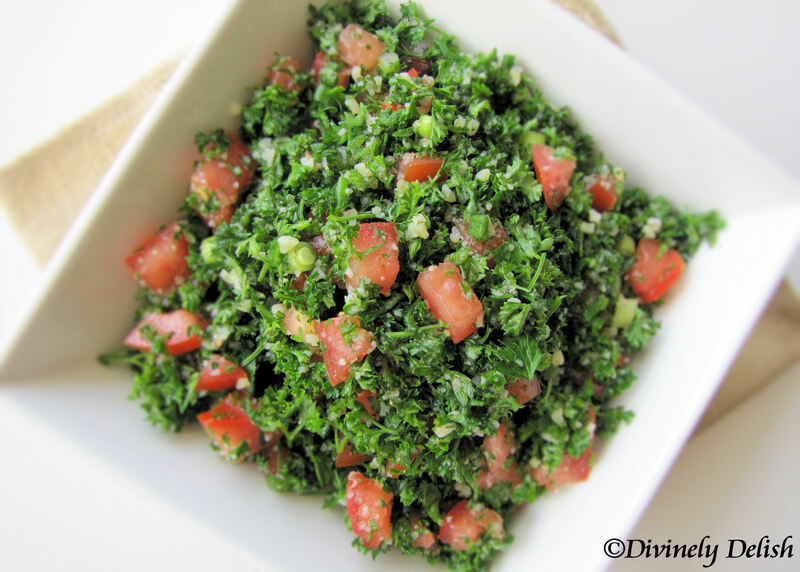 However, every time I’ve had tabbouleh, it’s been, well…meh. I was never that fond of it. That is, until a few months ago when my Lebanese co-worker Jamalle brought some homemade tabbouleh to work and I couldn’t get enough of it! To accompany the tabbouleh, she also brought some romaine hearts. I devoured lettuce leaf after lettuce leaf filled with the juicy concoction of parsley, tomatoes, green onions, lemon juice and olive oil. It was, quite simply, the best-tasting tabbouleh ever! 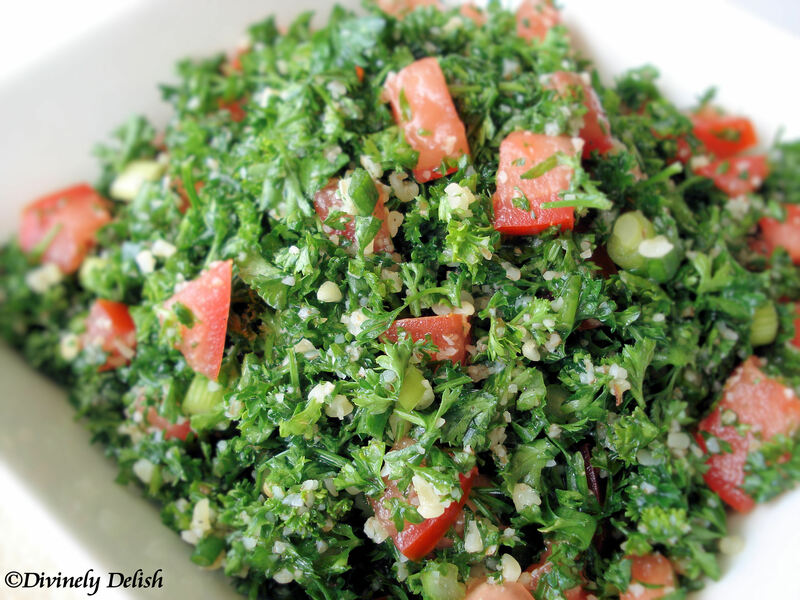 Jamalle shared her recipe with me, and said the key to making a good tabbouleh is the use of fresh ingredients. She prefers using green onions (which impart a milder, less sharp flavor than that of onions) and lots of lemon juice. For those who are gluten-free, she said quinoa works well, in place of bulgur. Tabbouleh is a great, simple dish to make if you find yourself with a bunch of leftover parsley (I used to always throw out most of my parsley, after using only a few sprigs for garnish). This is also a wonderfully refreshing salad/appetizer on a hot summer day. And now that beautiful sunny days are upon us, I decided to make it again. 1) Wash and dry the parsley and mint (if using). 2) Chop the parsley and mint (optional). Chop the tomatoes and strain to get rid of the excess liquid. Slice the green onions. Place all chopped ingredients in a large bowl. 3) Sprinkle the dry bulgar on top, add the lemon juice, olive oil, salt and pepper. 4) Toss lightly with a fork to mix all ingredients.